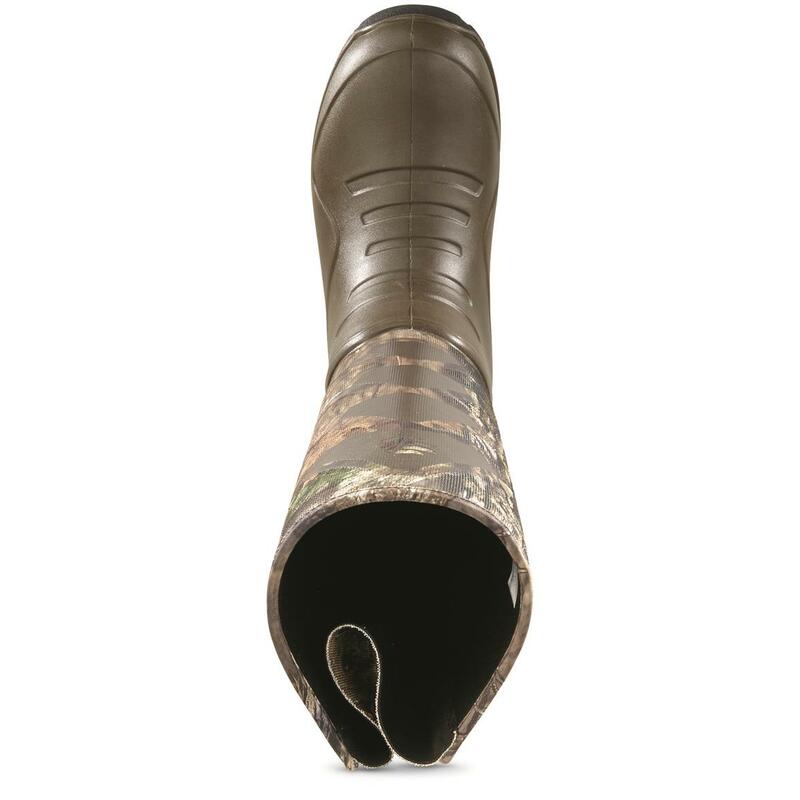 Yes, AeroHead Boots feature proven Snake Guard fabric, No. 1 when it comes to protection. But they're so much more than "just" protective in the field. 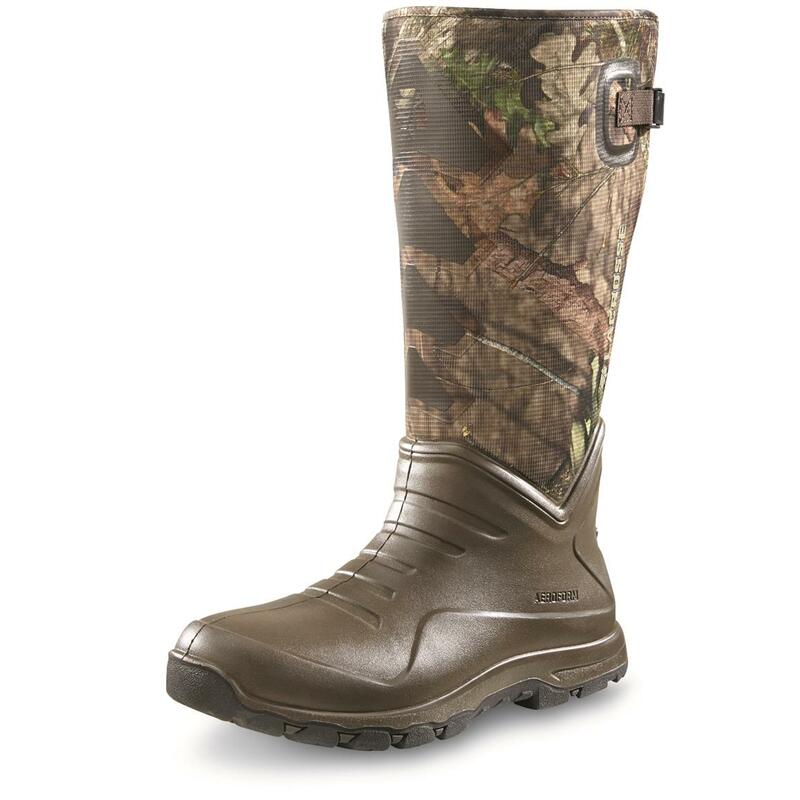 The AeroHead Sport completely changes what a rubber hunting boot can be by replacing the traditional rubber shell with AeroForm® PU foam. AeroForm® is extremely comfortable, lightweight, flexible, durable and an excellent insulator. In fact, it’s the same material used to insulate refrigerators and freezers. 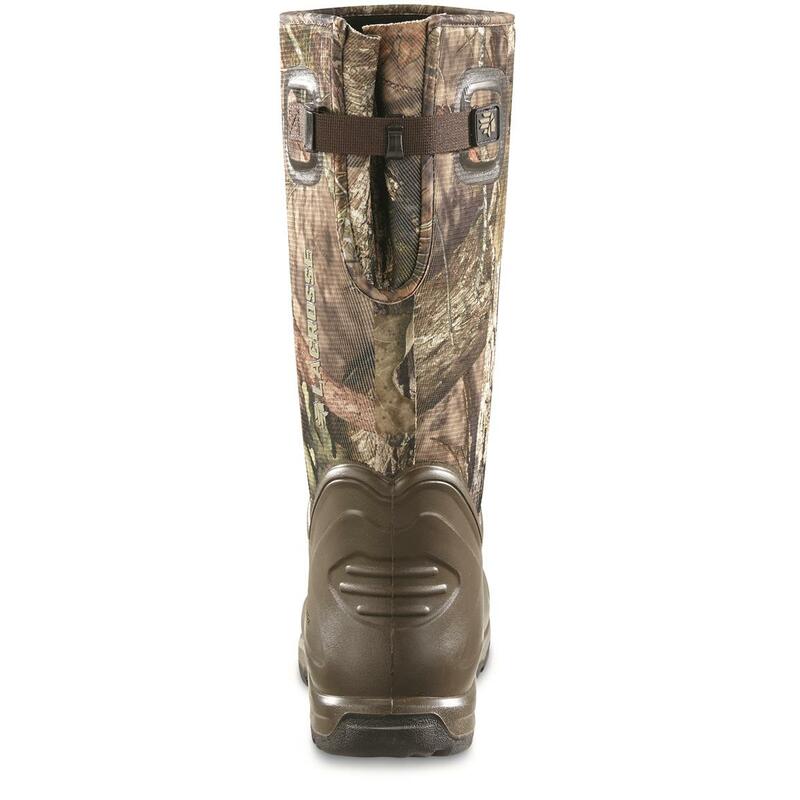 But unlike your fridge, these Boots are also incredibly quiet for stalking undetected. When it comes to venomous snakes, why risk it? 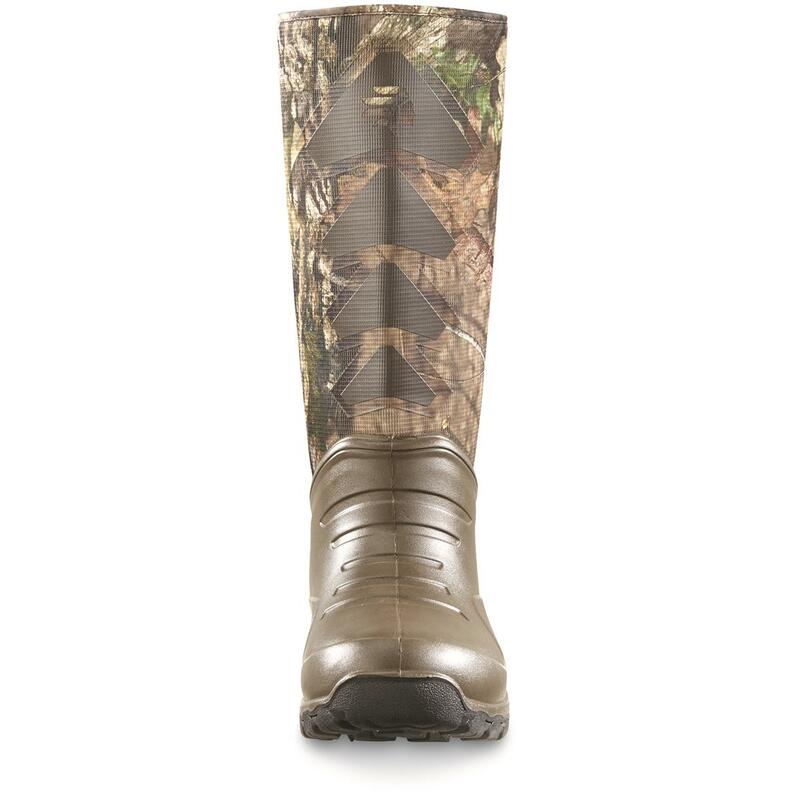 AeroHead Sport Boots feature proven Snake Guard material that delivers reliable protection in a flexible package. Hey, snake boots don't have to feel like casts. And AeroHead Snake Boots don't. 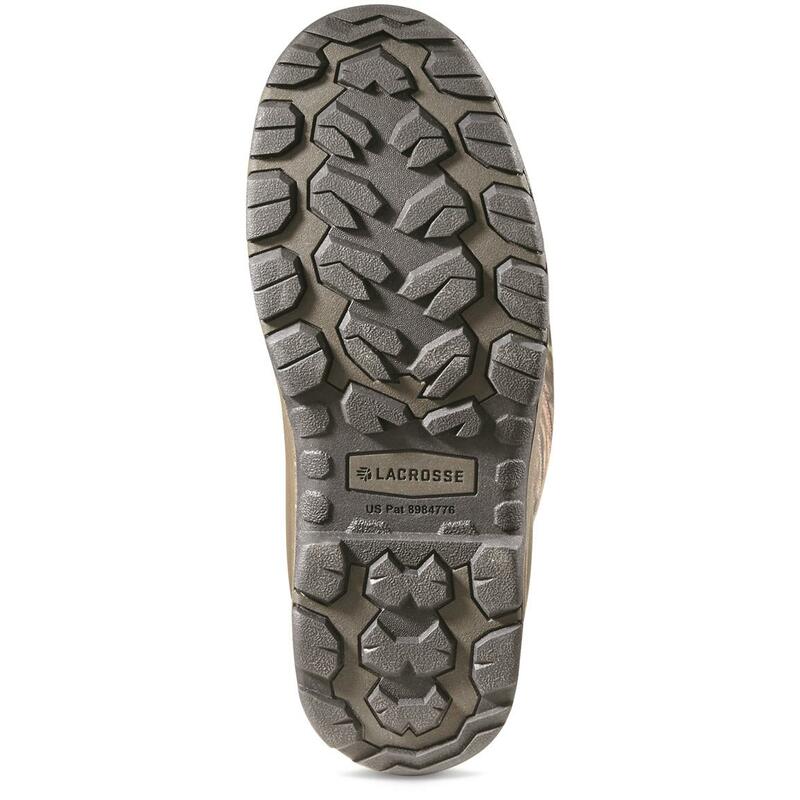 Rounding out the package is a premium-grade rubber outsole that won't collect mud. During the injection process, the outsole is joined to the shell. Once cured, an inseparable bond is created. For support, they feature an oversized shank that covers the entire arch area in the heel for adding stability and lasting longer. Last, but certainly not least, the Active Fit system features an adjustable neoprene gusset that moves with you while staying snug, providing a forgiving fit that really performs. Each approx. 16"h., 38 oz. Weight per boot (approx. ): 38 oz. 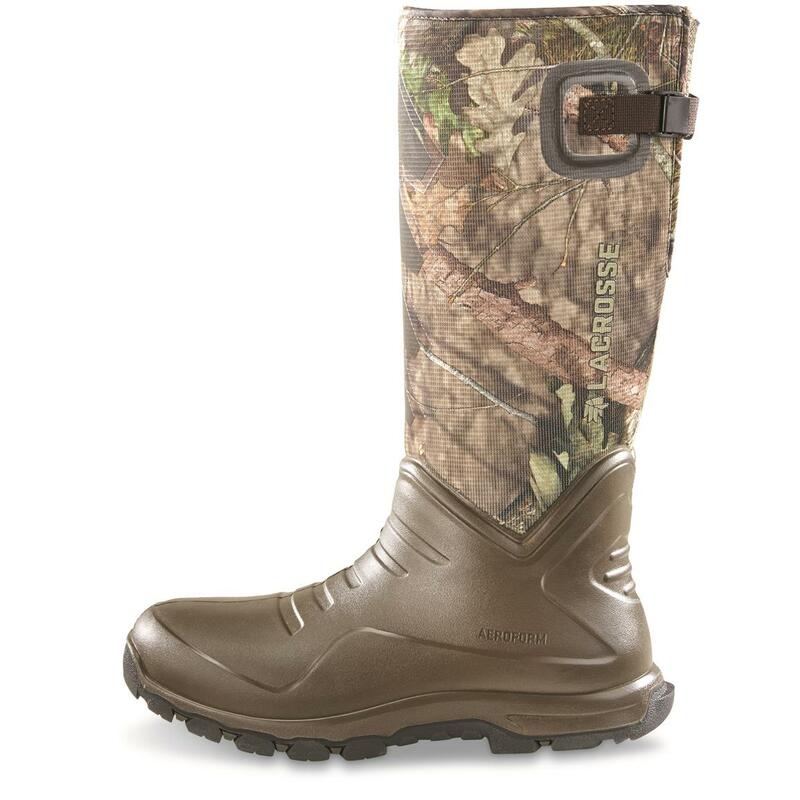 LaCrosse Mens AeroHead Sport Snake Rubber Boots is rated 4.0 out of 5 by 1. Rated 4 out of 5 by Keith from Great boots. Run big. So far. I love these boots. But they run big for the size. My Rockys and Danners are 10.5. I bought these in a 10 and they swallow my foot. Should have sent them back but my time has run out. I will be purchasing another pair. Just hoping the 9’s aren’t too big as well. The good. They are light for what they are. Have worn them in mid 70’s to high 20’s. 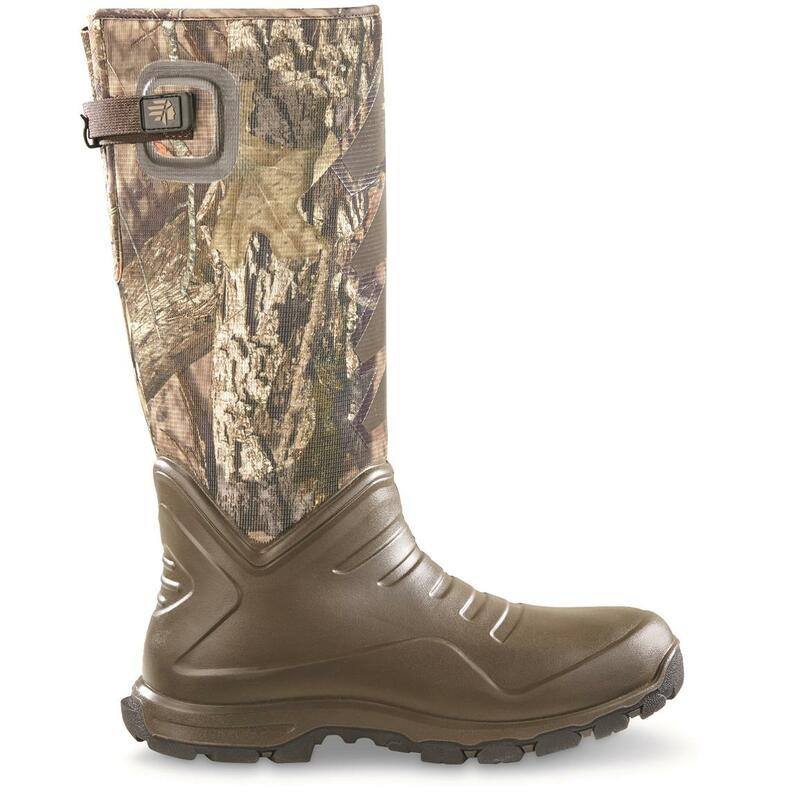 Of course they are waterproof and I hope I never have to find out if they are snakeproof.